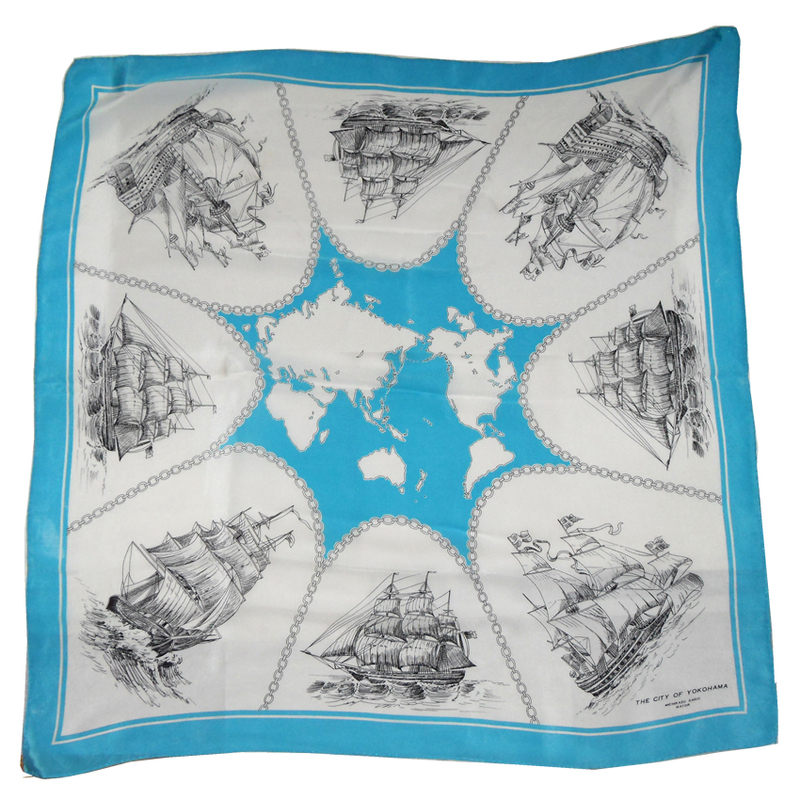 Vintage hand rolled edge silk scarf with a bright blue border depicting scenes of Yokohama Japan. Measures 29.5″ (75cm) x 29.5″ (75cm). Pin hole in one corner.